Data has always been important. But it is more critically so in the digital age. Data is the foundation upon which the modern world is busy building its data-heavy future. From manufacturing, banking, and insurance to marketing, food processing, and hospitality, everyone now worships at the altar of data. But raw data doesn’t do anyone any good. What matters is the information you obtain from data. Our data analysis help ensures that researchers derive the highest quality information from the data they have collected. Data analysis is the process by which researchers and other professionals extract information from data. Data analysis systematically applies logical and statistical techniques to condense, describe, illustrate, evaluate and recap data. It involves the use of various analytic procedures to draw inductive inferences from data. Applying these procedures also helps the researcher to distinguish the phenomenon of interest from any statistical fluctuations present in the data. Writing a college dissertation? Our data analysis help enables you to produce a study that benefits your field and earns you recognition and respect. The importance of data analysis extends beyond your dissertation writing project. Data analysis helps organizations, businesses, and governments to obtain the information they need to serve people better, make smarter decisions, and boost productivity and revenue. Information from high-quality data helps a company to understand their target market better. Additionally, such information enables businesses to develop much more effective marketing strategies and campaigns. The research and data analysis skills you learn while in college will help you a great deal when you finally join the world of work. The process has three steps. The first step involves selecting the correct statistical tests suitable for the data collected. The next step is where you prepare and analyze the data you collected using the most suitable statistical package. The final step is where you now interpret your findings in preparation for writing up your results. While the three stages are rather straightforward, they are time-consuming, and most people find them challenging. You need about a week to analyze your data. Do not hesitate to find data analysis help. In fact, handling that exercise when you do not possess the skills need to do it accurately and professionally is counterproductive. Remember this is the one area that university committees focus on. Collecting high-quality data is not enough. Experienced researchers understand how critical choosing the right statistical tests is. Any mistakes at this point potentially lead to erroneous findings. Two considerations determine the tests you should select. These aims help you determine the statistical tests you need to run for your data. There are various types of data. By now, you already know that you don’t measure all your variables in the same way. Variables can be continuous, ordinal, or dichotomous. Additionally, not all data is “normal,” and the data you collected when comparing groups is not necessarily equal for each group. Consequently, it is easy to think a specific test, say a dependent t-test, is suitable based on the hypotheses/research questions you have set. However, the data you collected may fail certain assumptions namely homogeneity of variance and normality that are critical to this test. In this case, you must run a different statistical test; for example a Mann Whitney U test. Data preparation and analysis is a more involved process than many students realize. You need to know how to enter your data into the statistical package or tool you are using. Also, you must know how to correctly use your software tool to run the various statistical tests you need to run. To enter your data successfully, you need to know how to code them correctly. 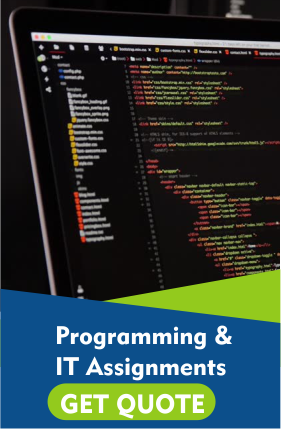 You also need to know what reverse coding is and how it works. Additionally, you should be able to filter your data sets, taking into account missing data and outliers. Also, you should know how to split files when using the same statistical test to analyze data for separate subgroups such as males and females. Understanding how weighting and unweighting of data works is also essential to the data entering process. How you handle each exercise relating to the data entering process depends on the statistical tests you are running. We provide the data analysis help you need to enter your data correctly in the context of your dissertation. Statistical packages such as SPSS do all the hard work relating to analyzing your data. Running statistical tests also involves testing for the assumptions that underlie such analyses. You also want to know whether you can make corrections in cases where you got your assumptions wrong. You should be able to decide whether to use numerical or graphical approaches in your data analysis exercise. Running statistical tests needs to take into account missing data and outliers. Our data analysis experts can help you choose the right statistical tests and run them on a suitable statistical package. Our data analysis help allows you to focus on the critical processes that precede data analysis. There is no point in analyzing low-quality data. The findings are usually erroneous and therefore inconsequential. You now have your findings. The data analysis section of your dissertation requires you to do more than merely present data. Data interpretation involves telling your audience what the data you have collected and analyzed means. You also need to show the reader what the results mean in relation to your research question. A lot of students are sometimes unable to separate findings from their interpretations. Being able to interpret the results helps you to shed light on the significance of your study. It makes your research useful. Presenting data: Only 46% reported knowing how to perform life-saving emergencies like mouth-to-mouth resuscitation. Interpreting the data: The finding shows how unprepared Florida residents are regarding emergencies and suggests that the state government needs to plan and provide emergency training for its citizens. You are probably a busy academic with classes to teach, conferences to attend, books to write, and research projects to complete. Juggling all these activities and your social and family life can be quite challenging. After you have collected data, let us save you time by helping you to analyze it and interpret the findings. 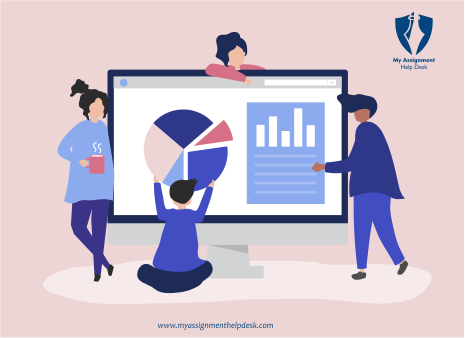 We provide every kind of support from choosing your dissertation topic and analyzing data to writing the ideas up, editing and proofreading your work. Our data analysis help is affordable and reliable. We have worked with hundreds of undergraduate-level, master’s level, and Ph.D.-level students. And we are happy they chose us to partner with them on their journey toward graduation. The data analysis chapter of your dissertation is one of its most critical parts. The section is where you present your data, analyze it, and finally interpret it. A well-written data analysis chapter presents complex information in an easy-to-understand way that improves your work’s readability. You should use an appropriate format when writing your analysis chapter. The details provided should be adequate to support your point of view. You start with a brief description of the purpose of your study. Additionally, you should let the reader know how you conducted your research. A description of the data types involved, the data collection instruments used, and the assumptions you made follows. Next follows a detailed description of your hypotheses/research questions. You then present the actual data you collected. You must include information regarding the various statistical, mathematical, and qualitative analyses performed. Finally, you are supposed to write a conclusion to each research question. It is here that you need to include the insights you have drawn from your data analysis. End with a summary paragraph that recaps the data analysis section. By the time a reader comes to the end of your data analysis chapter, it should be crystal clear to them whether your findings proves or refutes your hypothesis. When it comes to the data analysis chapter, you need to be careful. Any mistakes made here detract from the effectiveness of your research and may result in less-than-desirable grades. These are not the outcomes you want. If you feel unsure about how you are handling the analysis section, find help. But where will you find the help you need? Countless data analysis services exist, and it is your job to select a company that is effective, reliable, and affordable. The advice you need is all online. Asking your friends or supervisor for recommendations or reading reviews is a good way to start your search. Our experts are available and will hold your hand every step of the way. Just place your order and pay. Our data analysis people will start working on your request immediately. Relax; with us, no one worries about deadlines. We always meet deadlines. 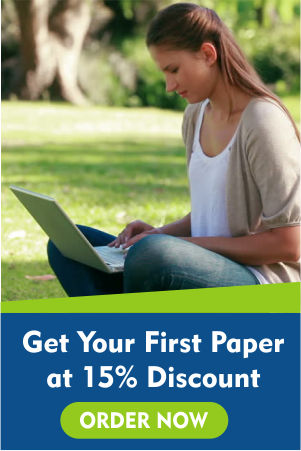 Our experts will help you with any part of your dissertation’s statistical analysis. Perhaps you need help with analyzing the data collected only. Or you want assistance with developing your project from scratch. Whether your data sets are large and complex or small and simple, you can count on us. Whether you are doing quantitative or qualitative research, we can help you. We can also advise you on dissertation topic selection, research design, and data collection instruments and techniques. We can also help with the actual data collection. However, the data collection service is not part of our data analysis service. That means you will have to pay for it separately. Whether you want help with the entire research project or just need support in the data analysis section, talk to us now.